The AFTCO Jigfish UV protection long sleeve fishing shirt is one of the ultimate AFTCO shirts that protect from the harmful effects of the sun's UV rays. This T-shirt is made of 100% polyester, features an AFTCO logo in bold text. The Jigfish tee utilizes a breathable stretch fabric known as QuickDry and blocks more than 98% of UV rays. The Jigfish UV protection shirt features an AFTCO Marlin Puzzle logo on the top back with an AFTCO Fish logo on the chest. Good quality shirts and excellent quality for cost. The large size was a perfect fit. 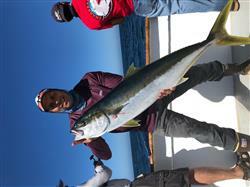 I wore the shirt for a 3 day trip for Bluefin and Yellowtail out of San Diego in mid September. 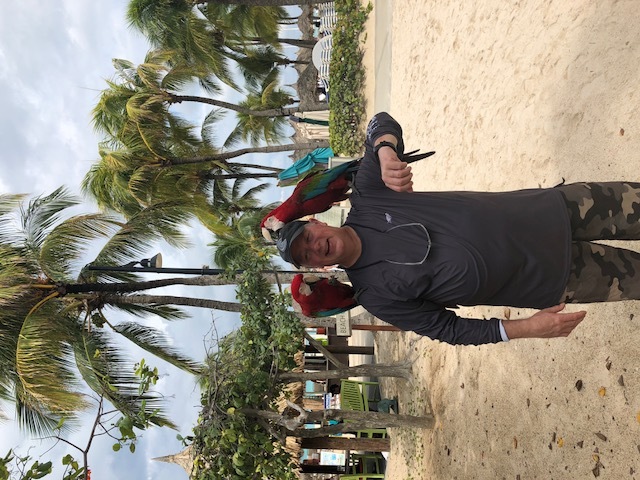 I bought 2 of the same shirts and wore them the entire trip. The temp control and moisture management was perfect for the temps on the Pacific in September. Definitely will buy more! These shirt are for early spring or fall. Excellent quality and cool design. Not lightweight enough for fishing in Texas summers. Beautiful shirt... Loved the design and color. What was a surprise was that it was not light weight enough for summer weather. Other shirts purchased from you are lighter weight and better for hot weather..